As summer approaches, many people’s thoughts are turning toward vacation. This is the ideal season for taking a much-needed break. School’s out, work schedules are lighter, and the weather is ideal for road trips, scenic getaways, or just relaxing by the pool or beach. Many people opt for a long-term approach to vacation planning. That means taking a hard look at current finances and searching for ways to cut down on costs. Another favorite cost-cutting possibility is making one week of the month a “pantry week,” meaning you’ll bypass the grocery store and only consume what’s currently in your cupboards and food storage. This not only saves money but also helps free up space. Yard and garage sales are a favorite pastime for both buyers and sellers. Clothes, DVDs, furniture, sports equipment, and miscellaneous items can easily be sold to bring in extra money. Another option is consignment shops. For the convenience of not having to sell your own items, these stores will take a small percentage of the final sales price. The payoff is usually well worth it — especially for busy parents and professionals. Earmark proceeds from these endeavors to your vacation fund. Most people find that their holiday reserves build up in no time. Another great way to get fast cash is to turn your unused and unwanted items into spending money. Find your nearest pawn shop and work out a deal. 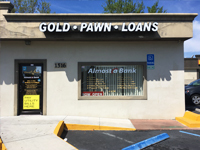 With three convenient locations in Volusia County, Auto Pawn is a leader in offering loans in a fair, trustworthy, and dependable manner. Along with all types of vehicles (cars, trucks, motorcycles, boats), we also offer top dollar for your unused gift cards. In addition, our friendly and skilled team members are qualified to pay cash for gold. Regardless of whether your jewelry is intact (latches, broken parts), we can quickly and efficiently help you walk away with the cash you need. 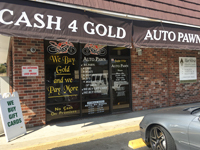 If you plan to fly or if you have access to multiple vehicles, another great option for holiday funds is Auto Pawn. When you bring in your vehicle in good working condition with a title in your name, our professional and courteous team members can work with you to secure the very best rates and terms. That means you can still have a blast without having to part with any of your belongings or cut back on personal enjoyment. 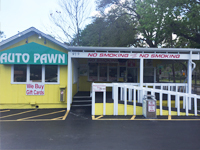 The premier of all Daytona Beach pawn shops, we also serve customers in Palm Coast, Deltona, DeLand, and other areas. Contact us today or stop by one of our locations to get started on your Auto Pawn loan, and get one step closer to planning the best vacation ever.